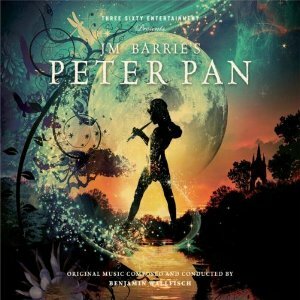 In the summer of 2009 Peter Pan was back in London’s Kensington Gardens, the place where J.M. Barrie first met the Llewelyn Davies family and and where he told the stories about the boy who never grew up. Housed in a big marquee and with the stage surrounded by the audience, J.M. Barrie’s Peter Pan (to distinguish it from Disney’s Peter Pan?) boasts state-of-the-art, wrap-around, 360° cinematic CGI projections that are beamed onto the walls and ceiling of what is essentially a big tent. With the central stage designed as a bedroom and which is converted (in turn) to Neverland and Captain Hook’s ship, the projections allow cast (via acrobatic wire-work) and audience (via their imagination) to fly above London – swerving to avoid the dome of St. Paul’s cathedral – or dive the watery depths around Skull Island. Reviewers of the production were split between praising the melding of high-tech wizardry with charmingly simple stage production values and criticising the production and adaptation for removing a lot of the emotional heart of the play (Ben Harrison’s production is much nearer in feel to the original play than the subsequent film adaptations such as Disney’s 1953 animated version). 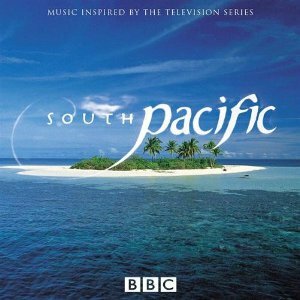 South Pacific (Wild Pacific in the US) is a six-part British nature documentary series from the BBC Natural History Unit that aired in 2009. The series (a BBC/Discovery Channel co-production) concentrates on the islands, wildlife and people of the vast expanse of the South Pacific. No-one does natural history programming like the BBC: The Blue Planet and Planet Earth are two examples of well-produced nature documentaries that have set the benchmark for others to follow. Audiences are routinely dazzled by the spectacle of the natural world, sometimes seeing many aspects of the world around us for the very first time. 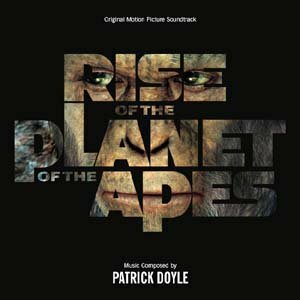 Alongside the spectacular visuals, composers such as George Fenton (who composed lavish scores for both The Blue Planet and Planet Earth) are being inspired to compose breathtaking music. British-born composer David Mitcham has been composing for film and television since the late 1990s and his scores for wildlife films in particular have been consistently been recognised for their quality: Danger In Tiger Paradise (2002), The Elephant, The Emperor and The Butterfly (2003) and, most recently, Echo: An Unforgettable Elephant (2010) have all won accolades worldwide. As composer for South Pacific, Mitcham has been inspired by the indigenous music of the region, using vocals, ukelele and percussion to fashion a score that reinforces the geographical setting and adds a subtle level of drama to the various aspects of life in the South Pacific. I’m indulging in another trip down TV memory lane! 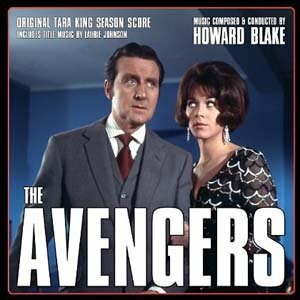 A retro start with Johnson’s theme from this 1960s series. I was never a fan of the original version – I think that I was just a shade too young for this. But I did watch the latter incarnation, The New Avengers. 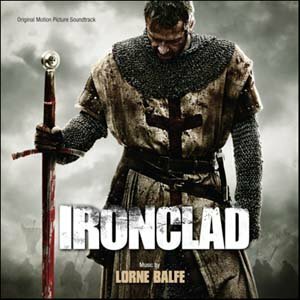 But Johnson’s theme here is an iconic and very enjoyable one. 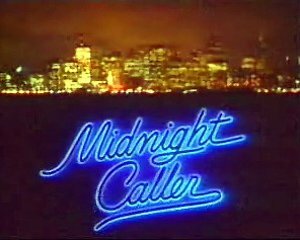 I loved this show and the great jazzy title theme was a highlight to the evening’s viewing (I think it aired on a Saturday night when it was especially popular). It’s the trendy and funky jazz feel to it that I enjoy most. And there’s just enough ’80s synth pop for it not to be too dated now. Footnote follows the fierce rivalry between a father (Eliezer) and son (Uriel Shkolnik), both of whom are professors in the Talmud department of the Hebrew University of Jerusalem. The son is obsessed with the acclaim generated by his work, always giving lectures and being inducted into prestigious science and humanities academies, whereas the father is a purist, set in his ways and a man who shuns what the academic establishment has become. Under this outward face though, the father has a secret yearning for recognition but he has to watch as his son receives all the plaudits he so desperately wanted during his career. But when a clerical error results in a moral dilemma for the son, the son has to decide what is more important – family or professional success. The film is, at its heart, a domestic drama that is handled by director Joseph Cedar in quite a comedic and unconventional way. 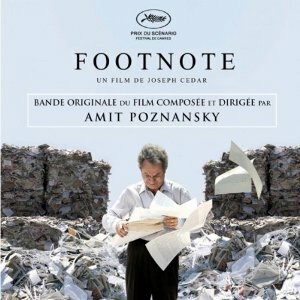 The comedic style of the film is enhanced by first-time feature film composer Amit Poznansky who has provided the film with an orchestral score that is embellished with a variety of musical techniques that enhances both the comedic and dramatic aspects of the film and steers clear of any sentimentality. 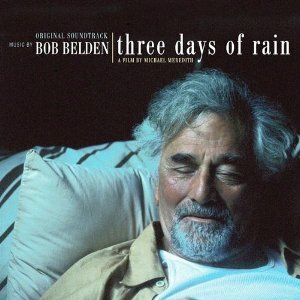 Michael Meredith’s 2002 film Three Days of Rain takes six stories loosely inspired by the writings of Anton Chekov and transfers them to modern-day Cleveland. The film is very much centred around the telling of human stories with the various vignettes featuring a variety of depressed individuals all who have their own problems to deal with. These gloomy stories are all intertwined with one another through the course of the film and are played out over a three-day rainstorm. One thing linking all the characters is that they are all listening into radio station WLOH during their story. Urban setting, rain-soaked streets, depressing human stories. Ideal setting for a quality jazz score you would think. So, in the film, the WLOH’s DJ (Lyle Lovett) plays jazz as part of a Jazz festival and it is this music that become the soundtrack of the film. 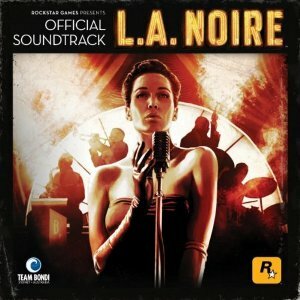 American saxophonist, arranger and composer Bob Belden composes an excellent noir-ish jazz score that reflects the characters and their situations and is full of beauty. It’s easy to forget sometimes that Gold’s music slows down a bit and becomes such an emotional cornerstone for the time traveller’s escapades. 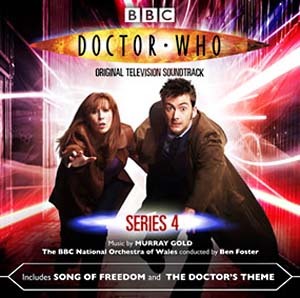 The first half illustrates this well with some trademark strings/brass combinations typical of the composer’s music for Doctor Who. 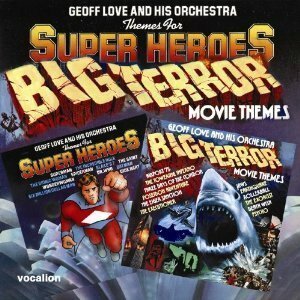 I like how, just as you think that the music is about to go all action-y, Gold pulls the orchestra back from the brink and continues on with the delicate scoring. 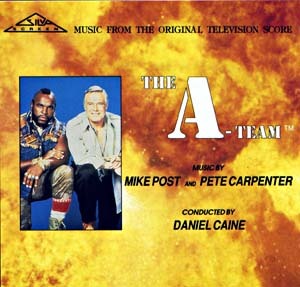 This short track gives a wonderful choral prelude to the Ark Theme that will feature in the climax to the film. 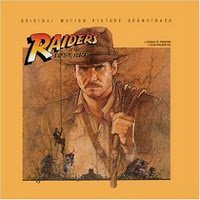 Little hints of the Raiders theme itself then finishes off the track. A bit of an inconsequential addition to the collector’s edition of the score but nice to hear some variations of familiar themes.